Snorachu's Park is a platformer game where you try to help Snorachu collect as many Snorberries as possible before time runs out. He doesn't like Snorrottens, so don't collect those! Snorachu's Park is compatible with any device running a modern browser - even your phone*! * Not compatible with Safari on iOS. Snorachu's Park on Amazon App Store! 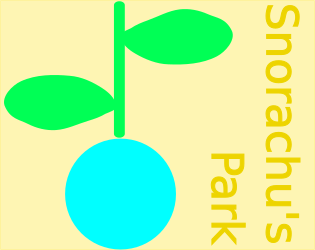 Sticky[README] Welcome to Snorachu's Park!